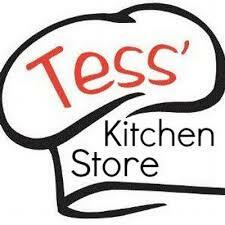 Tess’ Kitchen Store is a three-story showroom featuring over 7,500 square feet of culinary goodness. A true hub for all things food, our store is a paradise for those who love to be in the kitchen every day. We carry everything from kitchenware and supplies to beer, wine, and specialty foods, so there’s always something new and interesting to find when you visit. If you want to get close to the action, we also offer cooking classes led by our in-house Culinary Institute of America Chef, as well! Between that and our monthly Chef’s Table events, you can learn and grow as a cook right alongside your neighbors. Join us and experience the true joy food can offer. And if you are getting married...don't forget to register with us!